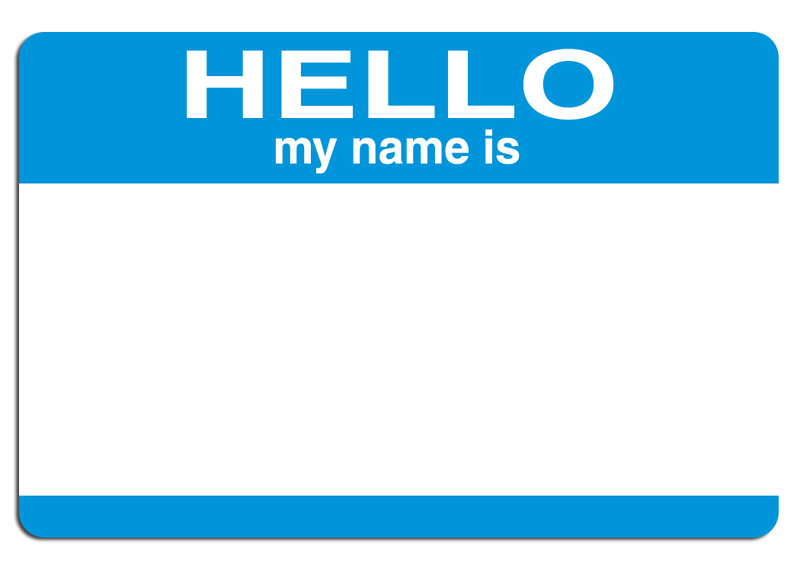 Have you ever been to a church where all the (regular) congregation members had on name tags? Did you have a name tag too? If not, did they offer you a ‘Guest’ tag? I was at a large meeting the other day, and as name tags and Sharpies were going around for us, someone mentioned that her church has name tags for everyone. My first thought: that church has name tags for everyone except for first timers. My second thought was a question: how many times does someone have to attend before they are given a name tag? In this situation, name tags equal exclusivity. Even if that’s not the message this church intends to send, it’s the message that’s likely being received. If I was new to church and the whole God thing, I’d be freaked out if the church I decided to visit was full of people wearing name tags. I’d be even more freaked if they wanted me to wear a ‘Guest’ name tag. Does your business unintentionally create exclusivity? If exclusivity is created intentionally, that’s one thing. But if you’re a small business, you probably can’t afford to be exclusive. You definitely can’t afford to create barriers for new customers. Entry – to your website, or your brick and mortar location, or your LinkedIn group – should be easy and with as few barriers as possible. Otherwise, it may seem like you’re just another social clique.